Since Fairmont Mayakoba welcomed its first guests in 2006, the resort has epitomized the highest level of luxury. From its exclusive location in the Riviera Maya, to the chic accommodation and personalized amenities, Fairmont Mayakoba invites you into a lavish tropical world from the moment you step foot onto the property’s grounds. For 11 consecutive years, Fairmont Mayakoba has earned the prestigious AAA Five-Diamond rating — a true testament to the resort, providing its guests with the ultimate level of luxury. Each year, the coveted AAA Five-Diamond award is given only to a select few remarkable hotels that are deemed most impressive by highly-qualified inspectors. Additionally, the resort holds a Rainforest Alliance Certification, demonstrating its commitment to practicing sustainability and reducing its environmental impact. Diverse activities abound - from authentic cultural classes, to family-friendly offerings, a nature-inspired spa, romantic caterings for couples and more, Fairmont Mayakoba allows guests to customize their stay, offering extraordinary experiences for every type of traveler. Revered for its lush tropical surroundings and exclusivity, the private gated resort community of Mayakoba is where Fairmont Mayakoba calls home. Nestled in the heart of one of Mexico’s most-visited locations — Riviera Maya — the resort provides convenient access to all of the area’s must-see sites and activities like the Ancient Mayan Ruins at Tulum and the vibrant nightlife of Playa del Carmen. Fairmont Mayakoba’s spacious guest rooms and suites feature lavish amenities and exude a unique character all their own, paying tribute to their Riviera Maya surroundings. Almost as if entwined with the natural environment they inhabit, most of the accommodation lies directly within the tropical forest while other suites are seaside, existing in harmony with the calm Caribbean. Boasting two AAA Four-Diamond award-winning restaurants, Fairmont Mayakoba’s Executive Chef Diego Sobrino creates one-of-a-kind culinary experiences that delight even the most sophisticated palates. 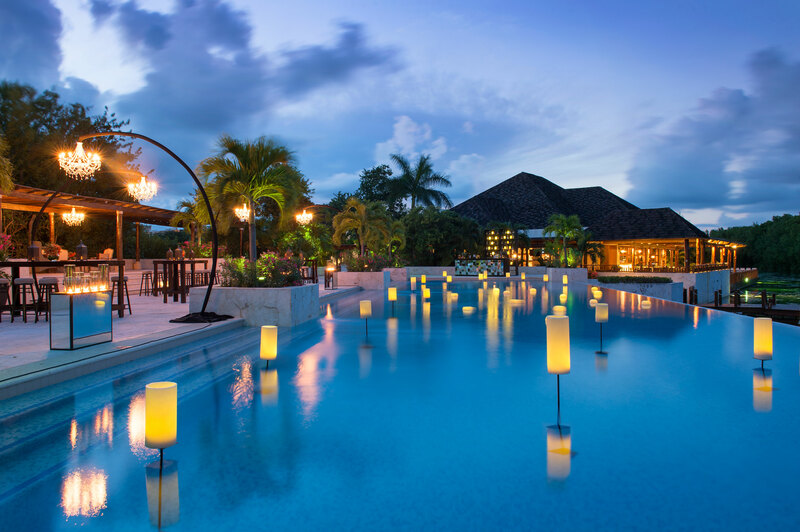 Cultivating refined atmospheres with picturesque views of the property’s tropical surroundings, the resort’s restaurants incorporate bold flavors, as well as local and organic ingredients into every savory dish on their menus. Encouraging you to “rediscover your energy,” Fairmont Mayakoba’s Willow Stream Spa will invigorate your senses and empower you to indulge in pure bliss. Set in the heart of the jungle with tree-top treatment rooms and magnificent gardens, Willow Stream Spa offers personalized, restorative and results-driven treatments directly derived from local flora and ancient Mayan traditions. 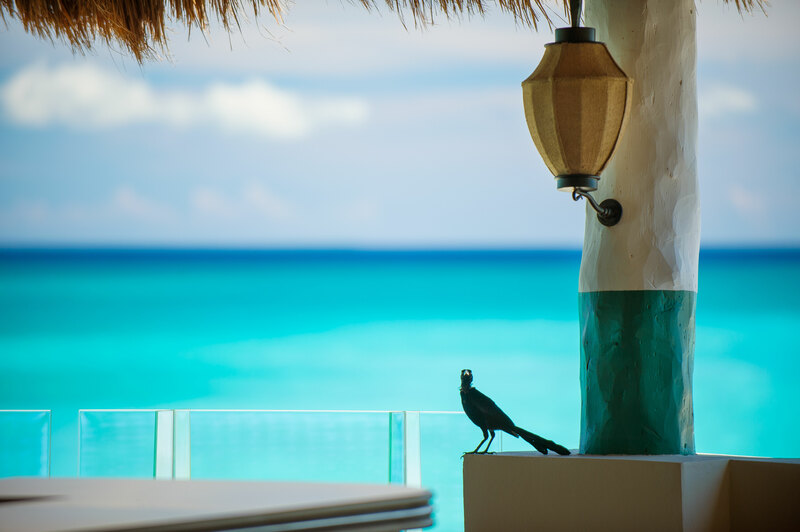 With the recent completion of Fairmont Mayakoba’s beach restoration project, the property’s white-sand beach has been widened to offer even more room to enjoy the captivating seaside setting. And now, it reigns supreme as the largest beach in all of Mayakoba. Fairmont Mayakoba features first-rate pool facilities, including five sparkling freshwater pools — each unique in its design and offerings. From a Main Island Pool and a children’s pool with a thrilling waterslide to an adults-only pool and an infinity pool, guests of all ages can splash around in refreshing crystal-clear waters or simply bask in the poolside luxury that awaits. 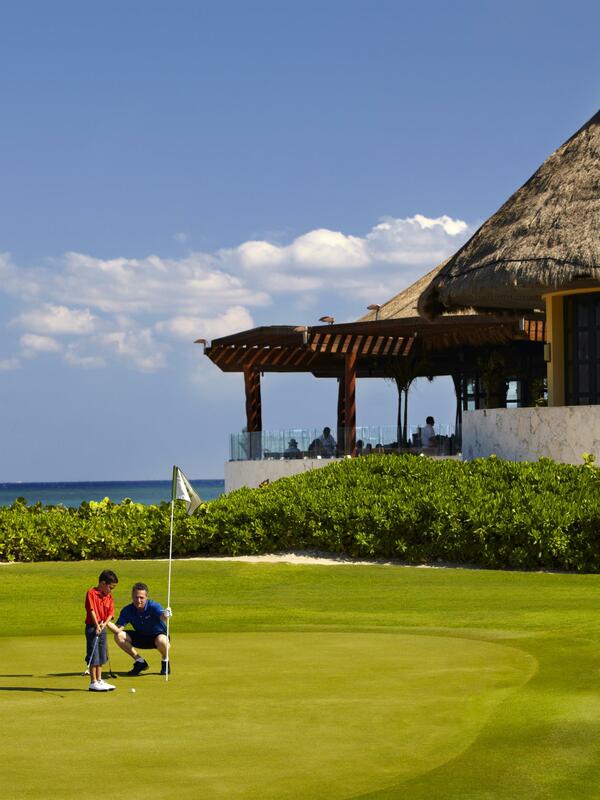 A golf haven for those of all skill levels, El Camaleón was designed by golf legend Greg Norman. The exceptional 18-hole course incorporates the natural landscape to feature challenges like sand dunes, mangroves and cenotes. Best of all, every area of the course provides stunning tropical or sea views. From pool and beach service and 24-hour concierge assistance, to babysitting by certified nannies, and convenient transportation offered throughout the property by golf carts, Fairmont Mayakoba’s staff members are constantly anticipating your every need and are fully prepared to provide the utmost level of service. Their welcoming demeanors, dedication to personalization and willingness to go the extra mile are truly what sets apart a stay at Mexico’s Fairmont Mayakoba and ensures that you will experience the most luxurious getaway.